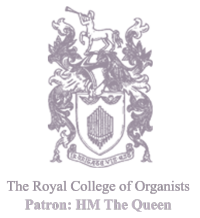 The Royal College of Organists (RCO) has announced at its Annual General Meeting the results of its elections to Council. The ballot, announced at the AGM at Southwark Cathedral on Saturday, 8th March, returned three existing Council members to serve another term: Graham Barber, Stephen Farr and James Parsons. Graham Barber is acclaimed worldwide for his intensely musical playing and complete technical mastery. He trained as a pianist at the University of East Anglia and at the Royal Northern College of Music, and was appointed the first organ scholar at Norwich Cathedral. Later he studied with Nicolas Kynaston and Gillian Weir, and participated in classes with Lionel Rogg and Luigi Tagliavini. Graham has performed in major venues across Britain, Europe, the Far East, the States, and Australia, and has performed with most UK orchestras. He is Professor of Performance Studies at the University of Leeds, President of the Karg-Elert Archive and a Vice-president of the Percy Whitlock Trust. Graham is also a member of the Council of the Royal College of Organists and Director of Music at St. Bartholomew’s Church, Armley, where he is curator of the famous Schulze organ of 1869. Recognised as "one of the brightest and most active young English recitalists” Stephen Farr is widely regarded as one of the finest organists of his generation. In 1984 he became Organ Scholar of Clare College Cambridge, where he obtained a double first in Music and a Masters degree in Musicology. Sub-organist posts at Christ Church Oxford and Winchester Cathedral preceded his appointment in 1999 as Organist of Guildford Cathedral, a position which he now combines with a busy freelance career. Since winning the Royal College of Organists Performer of the Year in 1988 and subsequent prizes, Stephen Farr has enjoyed recognition at international level, with performing tours to North and South America, Australia and throughout Europe. Stephen Farr's reputation as an inspiring and versatile teacher leads to frequent invitations to tutor on residential courses for young organists, most recently for the Royal College of Organists and the Oundle International Organ Week. He is a Council member, examiner and member of the Executive of the Royal College of Organists, and was recently elected a Fellow of the Royal Society of Arts (FRSA). James Parsons is one of the organ’s most articulate advocates on today’s musical scene. He is well known both for his international career as a concert organist and recording artist - as too for Oundle International Festival, which he founded in 1985, with its unique and influential summer schools for young organists, now promoted in partnership with the Royal College of Organists under the banner Oundle for Organists. Regular recital engagements throughout the British Isles, and tours to such countries as Holland, Scandinavia, USA, Czech Republic, Iceland and South Africa have received warm critical acclaim, and published articles and appearances on radio and television documentaries have further broadcast James’s infectious and knowledgeable enthusiasm for the organ and its music. He serves on the Trustee Council, Academic Board and Examiners’ Panel of the Royal College of Organists, and was the first Education Editor for Organists’ Review magazine. He is a visiting tutor at Birmingham Conservatoire, a popular teacher at St Giles International Organ School with pupils in London, Cambridge and Newcastle, and a Vice-President of The Organ Club.